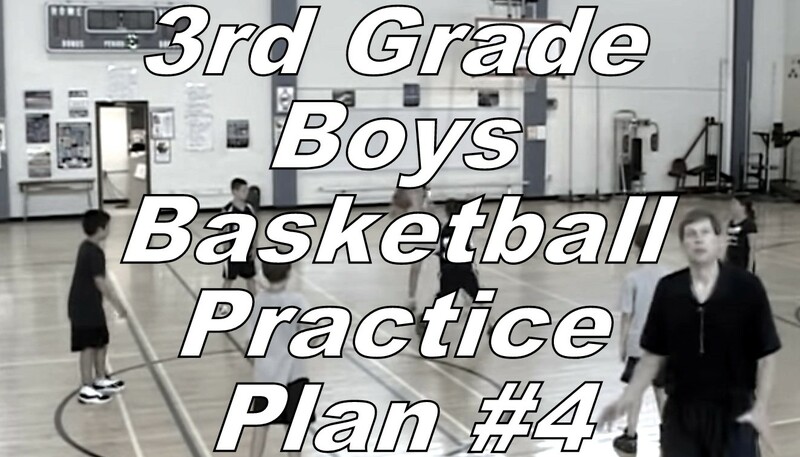 Here’s our practice plan for 3rd grade boys basketball. It was a good practice… fast paced. 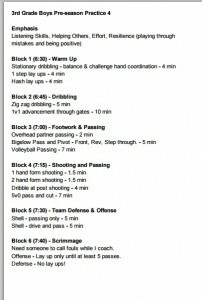 I’ve bee using “blocks” for our practices lately. It’s usually 15 minutes for each block, which makes it easier for me to stay on track… I know I should finish a block every quarter hour. I have a parent or assistant coach holler the times to keep us on track. 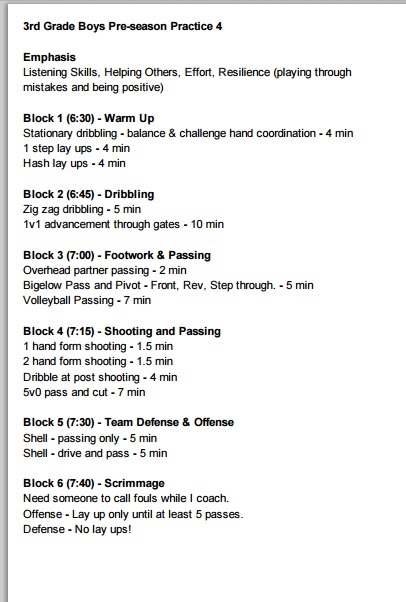 You can see the practice starts at 6:30pm and the start time is noted for each block. Need someone to call fouls while I coach. Offense rule – Lay up only until at least 5 passes. Defense emphasis – No lay ups!